EAG International 2012 (EAG Expo) recently closed its doors. Like every year, we offer a comprehensive report of the London Amusement show. Discover the latest European arcade releases through the 128 pictures with commentary, such as Namco's Deadstorm Pirates 3D and Animal Kaiser, Operation GHOST, Let's Go Island 3D and Virtua Tennis 4 from Sega, Real Puncher 2 and Panic Museum II from Taito, Raw Thrills' Dirty Drivin', ReRave by Step Evolution/Coast to Coast Entertainment and Triotech's XD Dark Ride... Also presented are the latest innovations and redemptions as well as the currently most popular prizes. Enjoy reading! Next edition of the EAG trade show will take place at ExCeL from January 22 to 24, 2013. 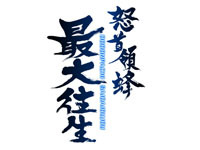 Some days ago, Cave announced a new title in the DoDonPachi vertical shoot'em up series but without specifying on which platform(s) it would be released. Today, a location test is announced, so DoDonPachi Saidaioujou is an arcade game... 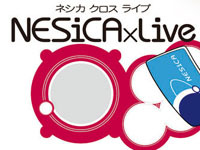 The location test will be held at Hey Akihabara from February 3 to 5. 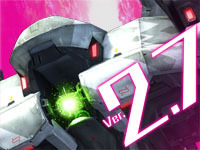 Cave has not unveiled much information about its new game except that DoDonPachi Saidaioujou will retain gameplay of previous DoDonPachi games while adding some innovations such as the mysterious "Dress System". 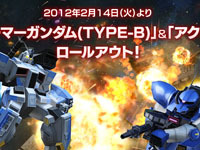 It will also be more "stylish" than past DoDonPachi. Music will be composed by Manabu Namiki (DoDonPachi and Death Smiles) and characters will be designed by Ryou Nagi (Steel Chronicle). DoDonPachi Saidaioujou should be released this Spring. 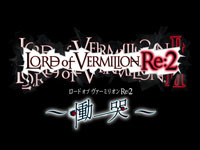 Lord of Vermilion Re:2 ~ Sorrows, the new Lord of Vermilion Re:2 update is out today. Square Enix added many new pets with this version. As usual, the new character illustrations are beautiful. Among the new pets, some comes from popular games and animes in Japan: Nier Gestalt and Nier Replicant games from Cavia, Witch on the Holy Night visual novel from Type-Moon and BLACKâ˜…ROCK SHOOTER anime. 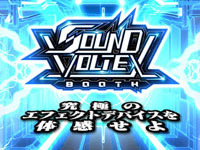 Konami releases its new game in BEMANI series today: SOUND VOLTEX BOOTH. This music game uses a control panel featuring two rows of buttons: four white buttons on the top represent short white notes and two green buttons on the bottom represent long green notes. In addition, there is an effector nob on each side, a blue on the left and red on the right. The player must press and hold buttons in rhythm corresponding to the notes that scroll down on the screen. When a blue or red line appears across the screen, the player must turn the effector nob which color matches the color of the line (blue for left and red for right). At the end of the song, the "effector rate" lifebar must be at least 70% to clear the stage. 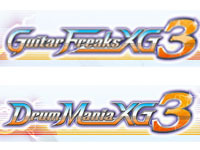 Many songs are remixes of popular BEMANI titles. SOUND VOLTEX BOOTH is of course compatible with the e-AMUSEMENT PASS and an online ranking is available on the website. Attention, unusually, there is arcade on TV tonight! 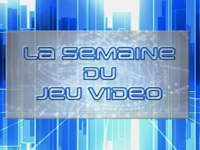 As part of its "Week of the Video Game" programme, Belgian TV channel La Deux will broadcast a report on Brussels arcade "eLive/Arena". It will be tonight at 11:35 pm CET. You can have a glimpse of the place by watching Ken Bogard's video on YouTube: http://www.youtube.com/watch?v=hbe6wGDggFQ. So be sure to tune in tonight! 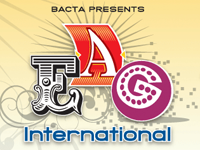 The 2012 edition of EAG International, the largest European trade show dedicated to Amusement will be held in London next week. Like every year, it is the opportunity to discover the latest arcade video games and redemption machines. The big manufacturers are once again at the rendez-vous; At Sega Amusements, one will find among other Let's Go Island 3D, Operation G.H.O.S.T. (Ghost Squad sequel), Virtua Tennis 4 (4 player cabinet), the Mini Rider 3D simulator and Bejeweled (arcade version of the famous puzzle game) and Ice Age Ice Breaker (from ICE) redemptions. At Bandai Namco Games, the highlight of the show will be Deadstorm Pirates 3D Theatre, there will be a new Pac-Man product and the American game ReRave, the rest of the line up is kept secret, but we can be quite sure that the latest Raw Thrills games will be showcased (including Dirty Drivin'). Electrocoin will offer special show price on all products including Taito's Real Puncher (Sonic Blast Heroes), Konami's DanceDanceRevolution X2 and truck racing game Power Truck. There is no doubt that there will be many other surprises. EAG is also known for its great seminars with speakers such as Michael Getlan (on redemption and how to manage difficult customers), Frank Seninsky (design and develop a gaming area in 10 points, and successfully set up self-redemption for street operators) and Leslie Macleod-Miller (on changes in future legislation). EAG International will be held at ExCeL London on 24, 25 and 26 January. To visit the show (professionals only), you can register on the website or at the show entrance on the day of the event. Like every year, we will publish a full picture report of the show.